The Roman Philosopher Marcus Aurelius said that: “Everything we hear is an opinion, not a fact. Everything we see is a perspective, not the truth”. This is true even of the greatest works of fiction. The stories we know and love come to us from one perspective – that which the author has chosen to give us. Major characters are (usually) well developed and minor characters are often not given a second thought by the reader. In Juliet’s Nurse, we are presented with an alternate view of characters in William Shakespeare’s famous play Romeo and Juliet. Told from the point of view of Juliet’s wet-nurse, we get to meet Juliet and the Cappelletti (aka Capulet) family from the day of her birth until her tragic demise. 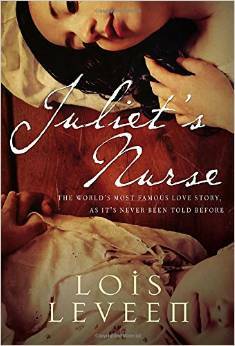 Juliet, however, is not the focus of this rich and well written tale – though without her there would be no story – it is instead her nurse whose life we step into in this book. The story begins with tragedy as Angelica (the nurse) loses her own child; in an attempt to ease her grief, her husband, Pietro, finds her a position as a wet-nurse to the Cappelletti family. The author takes us through Juliet’s childhood years, while also giving life to another minor character in the play – that of Juliet’s cousin Tybalt. Indeed, it was Tybalt who captured my heart in the story – the descriptions of his childish antics were so vivid that I could see him outside the nursery scaling trees and getting into mischief as if looking through a window. The book is divided into two parts, with the first part being considerably longer than the second. The back-story, the history, and the years between Juliet’s birth and her teenage years are covered in lavish detail. The second part deals with the story as we already know it – but with the added benefit of Angelica’s point of view and with a more robust character to Tybalt. The book is rich with details of everyday life in 14th century Verona, right down to the descriptions of the designs for the dresses worn to the now infamous masquerade ball. As a work of historical fiction, Juliet’s Nurse reminded me of the works of Eva Stachniak author of The Winter Palace and Empress of the Night, in the way the reader was able to vividly visualize the scenes. As a lover of history, and of Romeo and Juliet, I really enjoyed this new take on an old classic and think that it is a wonderful choice for a spring reading list. This entry was posted in Books, Reviews and tagged Books, historical fiction, reading, Reviews, Shakespeare. Bookmark the permalink.